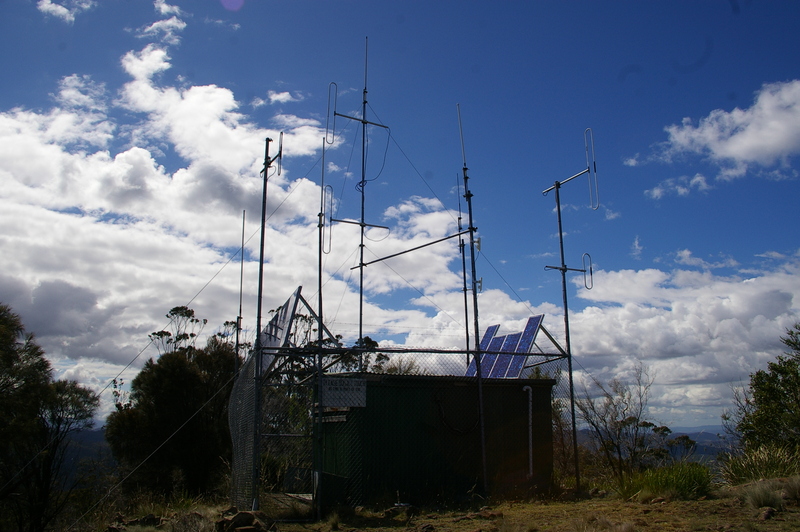 Blog of Justin Giles-Clark VK7TW's SOTA and amateur radio adventures. With Peter VK3PF in VK7 Reuben VK7FREU and the author decided to provide some VK7 summit 2 summit opportunities whilst he was here. The first was Mt Arthur VK7/NE-008 to Mt Direction VK7/SC-037. 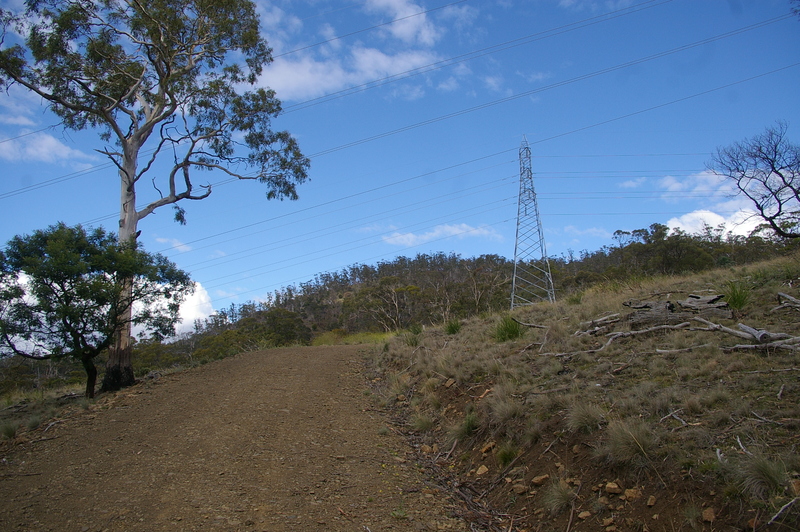 Mt Direction is a relatively short walk of 1.75 hours in and one hour out and can be accessed from Risdon Brook dam Recreation Park. 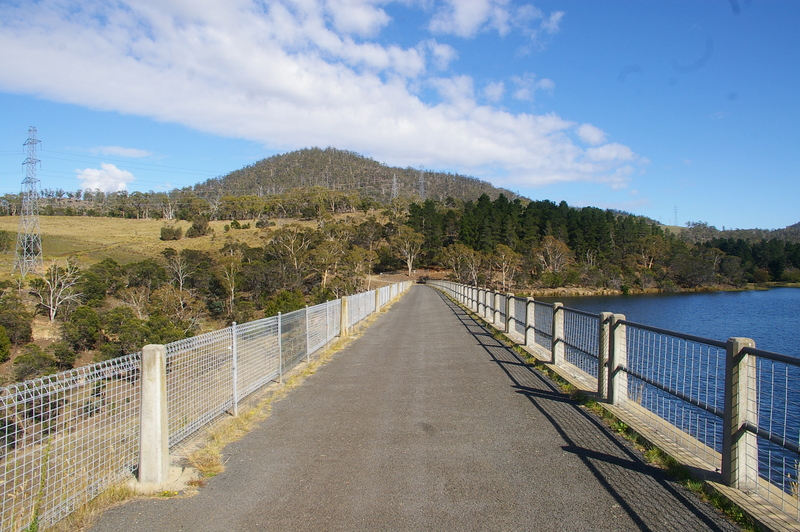 The park is about 20m from the CBD of Hobart and this is a popular recreation and fitness park that surrounds the Risdon Brook dam. Risdon Brook Dam with Mt Direction in background. Starting from the carpark you walk across the dam wall on the Western side and continue up the level track for about 1km to the hairpin in the track and take the side track up the valley to the firetrail. Continue along the firetrail in a north westerly direction until you get to a tee-junction with the trail heading up the hill. This then becomes a steady and sometimes steep and rough track. Continue up about 2.5 km and you reach the top. From the carpark this took about 1.75 hours with many rest stops and re-hydration! There were many trees blown down including across the track. 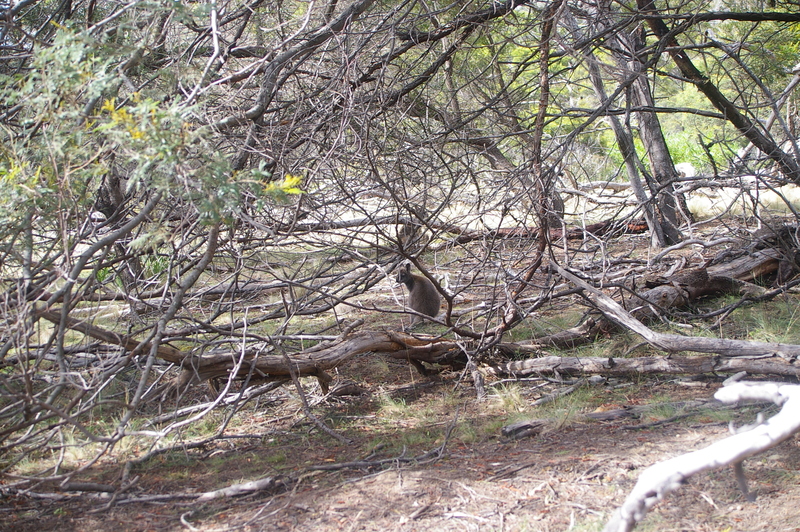 Many wallabies around the place. 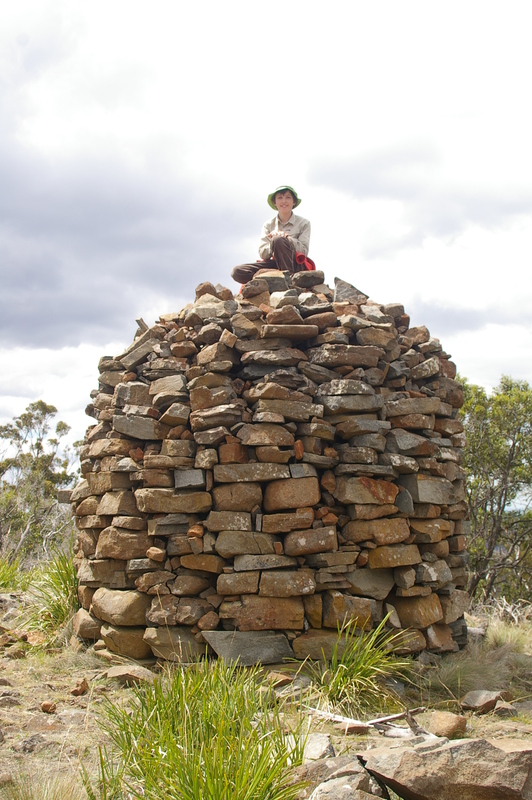 On top there is a well made stone cairn and a solar powered communications facility that is marked with a dilapidated sign saying “Please do not touch as this is part of the State Disaster Radio Network”. There appears to be 70 & 80MHz folded dipoles, verticals & UHF yagis on the facility. Reuben VK7FREU on the Cairn on Mt Direction! There are plenty of trees to tie the squid pole to and raise the inverted V up above the trees along with plenty of rock tie points. Both Reuben and the author together made about 25 SOTA contacts on 2m, 7MHz & 14MHz including Peter VK3PF/7 on VK7/NE-008. Thanks to Peter and all amateurs who contacted us. The walk out was about an hour back to the carpark. Speak to you soon from a summit! This entry was posted in First Activation, SOTA Activation and tagged Mt Direction, VK7/SC-037. Bookmark the permalink.